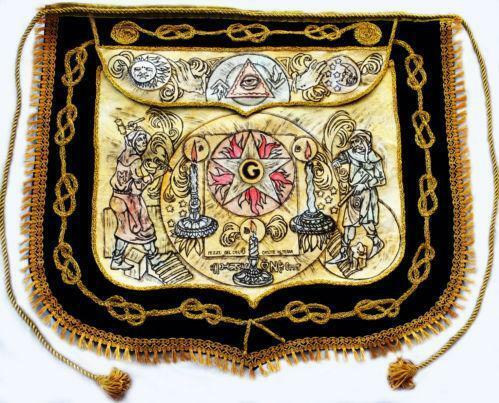 The quest for the lost symbols of Freemasonry is about more than just forgotten relics from the Masonic past, it’s about uncovering the true meaning and purpose of the Craft. Over the centuries the symbolic system of Freemasonry has been modified by Grand Lodges and well-meaning Masons to the point where it’s impossible for the modern Mason to uncover the peculiar system of morality concealed within it. Many symbols were discarded altogether, while others were modified to suit various political agendas. Other, entirely new, symbols were added to either clarify or obscure certain secrets. What exists today is so far removed from what the founders intended that it would be almost unrecognizable to them. The philosophical system envisioned by Freemasonry is hidden within allegories (sometimes allegories within allegories), and revealed through symbolism. Having the right symbols and the correct understanding of them is essential to understanding Masonic moral, political, and metaphysical philosophy. For a long time academic historians have known more about Freemasonry than they have been willing to publish. The reasons for their reluctance are many and varied, but the demand for answers continues to grow in both Masonic circles and popular culture. Perhaps one of the greatest concerns has been retribution from one or more of the plethora of Masonic appendant bodies. To put it bluntly, they are not a part of true Freemasonry. They’re nothing more than fantastic schemes created by Freemasons in the past to serve purposes that no longer exist. Today these organizations search for meaning in a world that perceives them as bizarre anachronisms. True Freemasonry, however, is timeless. It encompasses the entire human condition: the quest for meaning and purpose in the cosmos. Throughout the ages Freemasons have proven to be deeply spiritual while remaining religiously agnostic. Religions come and go, but Freemasonry remains because it is like a mirror reflecting back to us our true nature. This is evidenced more especially in England where there existed two distinct forms of Freemasonry prior to 1813: ‘Antients’ and ‘Moderns’. The union of 1813 saw the removal of Christian symbolism contained in the rituals of the ‘Antients’. It has been pointed-out that Freemasonry is chameleon-like. It veils itself in a religion and culture until it can safely reveal its mysteries, and restore order out of the chaos that blinded men to the truth. The veiling in Judeo-Christian allegories (the building of Solomon’s Temple and Noah) during the early period is an example of this behavior. 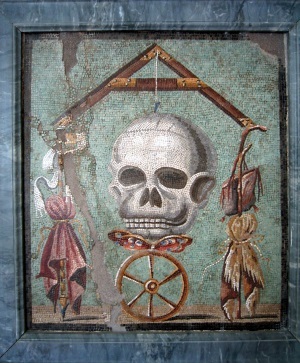 In addition to this, the skull is precariously balanced on Fortuna’s Wheel (Wheel of Fortune) which can turn at any moment in favor of either wealth or poverty. 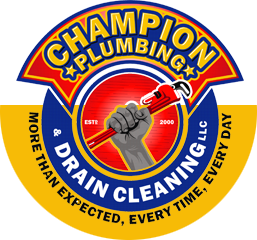 These same symbols appear in the Emulation Ritual used by the United Grand Lodge of England. The present three degree system, created by John Theophilus Desaugliers during the 1720s, was an attempt at putting together pieces from various ancient symbolic systems to form a greater whole. As we begin our quest for the lost symbols it’s important to realize that not all of the symbols we will be covering are lost to all Masons. Some of these symbols are still in use in different parts of the world. What may be a lost symbol to one form of Freemasonry is still in use elsewhere. Other symbols are entirely lost to the modern Craft, and their relevance obscured. Knowledge of them will aid in your understanding of Freemasonry.